Scotland’s Dimensional Imaging (DI) has announced the delivery of the latest version of its DI3D™ software to Electronic Arts. 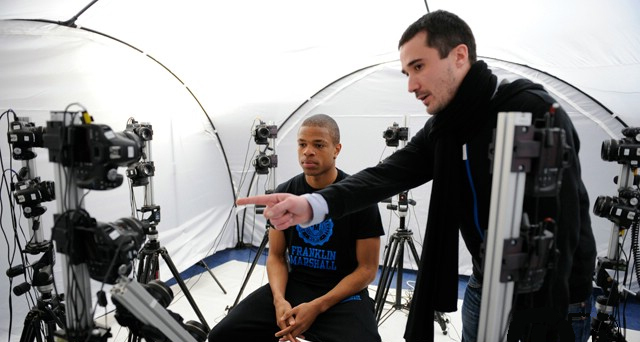 EA has been using DI3D™ software to capture highly accurate 3D facial likenesses of athletes and performers for inclusion in its videogames since 2009. Initially, the additional time required to capture and turn the super high resolution data generated by DI3D™ into video game models meant that only a handful of the most recognizable players were able to receive the DI3D™ “star treatment” in games such as EA Sports™ FIFA 10. Close collaboration between DI and EA Capture in Vancouver has resulted in significant workflow improvements, giving more players the ‘star treatment’ in EA Sports FIFA games. This entry was posted on Thursday, May 3rd, 2012 at 5:04 am and is filed under Everyone, Game Dev, National News, Sports. You can follow any responses to this entry through the RSS 2.0 feed. You can leave a response, or trackback from your own site.